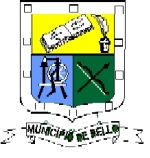 Medellín and its Metropolitan Area - Medellín, the captial of the Department of Antioquia, together with other municipalities, form the "Área Metropolitana del Valle de Aburrá, or Metropolotian Area of the Aburra Valley. This is for economic purposes, in order to get more funds from the central government. They have an English page available too at <www.metropol.gov.co>.